That time of year is just around the corner again. The red suited, beard rocking provider of all things happy is about to squeeze into chimneys all around the world and if you haven’t got a clue as to what you want him to bring, we’ve taken the liberty of helping you out. We wish you all a Merry Christmas… and plenty of free time in the cave. Uppercut Deluxe Pocket Kit: Grooming on the go is made easy with this kit which features the Mini Styling Collection: miniature sized versions of Uppercut Deluxe’s four styling products, a flick comb and a genuine leather keychain to keep your keys secure on your travels. Uppercut Deluxe Wash Bag: There’s no better place to house all of your favourite grooming products than the Uppercut Deluxe wash bag. Designed with simplicity in mind, the wash bag is lined with Uppercut Deluxe’s signature boxer print and has water resistant material, making for the perfect travel bag. Uppercut Deluxe Basin Kit: With the bathroom basin the home of grooming, Uppercut Deluxe has specifically designed a kit including a premium stainless steel cup, perfect for housing all of your go-to products, an Uppercut Deluxe toothbrush, quiff roller, black comb and tortoise shell comb. There’s no point denying it guys, video games are the perfect escape from reality, especially on a rainy day, or when you’re battling a hangover. And if there’s one game that needs to be in your Christmas stocking this year, Call of Duty: Infinite Warfare is the one. Hailed as the biggest entertainment franchise of all time, it’s the game to ask for if you’re looking for something new to lose yourself in. 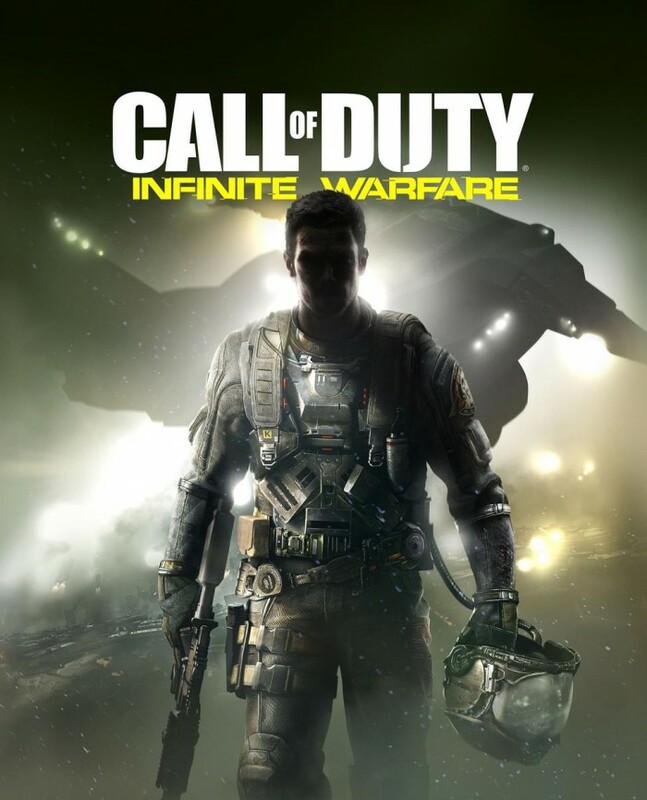 With spectacular state-of-the-art graphics and a combination of boots on the ground warfare with outer space combat, Call of Duty: Infinite Warfare is quite simply on another level. Just don’t get too lost in all of the wonderful madness of it all… your mates might forget what you look like. the first aged statement offering from our distillery (2012). 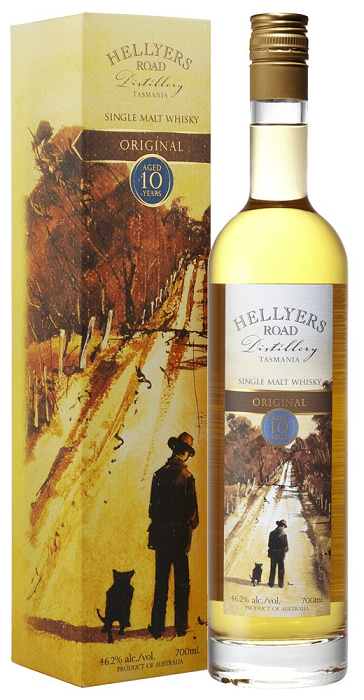 It is currently Australia’s highest-selling, local crafted single malt, and for good reason. Non-chill filtered, no artificial colouring added and crafted using premium Tasmania grain and some of the world’s purest drinking water 46.2% alc/vol. The typical notes of orange and lemon abound until usurped by a smooth vanilla sweetness that arrives on the senses like an unexpected friend. Dried herbs linger through a mellow, creamy aftertaste that gathers amid subtle hints of dripping golden syrup. Everyone is jumping on the drone craze lately and when you consider all the sweet footage you can capture with the video capable models, it’s easy to see why. The SkyRanger Video Drone lets users capture the skies and enter a new dimension with its cutting-edge flying capabilities and new first person (FPV) feature that provides a bird’s eye view of flights on the user’s smartphone. The giant RC drone also features Xtreem®’s Easy-Fly Gyro technology and 360 maneuverability including up/down, forwards/backwards, sideways movements flip, stunt tumbles, continuous rolling and more. With high-tech components and lightweight frame, this drone can make insane loops and knife-edge turns that defy gravity. Shooting big-time 720P HD videos, the SkyRanger Video Drone is one sweet piece of kit. 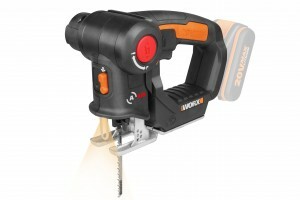 The WORX Trans4mer combines two saws in one compact tool. The unit is compatible with both reciprocating saw blades and jigsaw blades, saving time and money and reducing clutter in the shed. 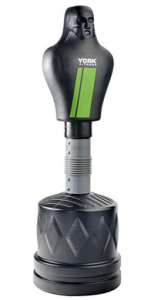 WORX’s tool-less blade change system makes for simple and efficient use and is compatible with the reciprocating system, while an ergonomic, moulded rubber handle enables fatigue free use. Featuring a 1pc reciprocating saw blade capable of cutting 100mm and a 3pc t-type shank jigsaw blade set capable of cutting up to 50mm, the Trans4mer is as tough as it is versatile. A dust blower removes debris and dust, while an inbuilt light also improves cutting visibility. The Trans4mer also includes an innovative pendulum blade function. Combining demolition and creation through the interchangeable blade system, WORX has changed the game for DIY lovers yet again. Why have two tools when you only need one? Amaro Montenegro oozes a relaxed allure that winks at Europe’s insouciant lifestyle, the bittersweet answer to those in the sick-of-beer-wine-or-whiskey camp (they do exist), the supreme sip to inoculate your sobriety. Crafted daily by an expert herbalist in Italy, Matteo Banoli is the only person in the world who knows all 40 of the spice, fruit and herbal ingredients that make up this bittersweet drop. Digestifs and aperitifs have made a massive comeback; it’s delicious sipped on the rocks, or with a spritz of soda and some citrus, or ginger ale and mint. It’s a potable bitter and can be used in a variety of cocktail recipes as well. The new BAG OF RIDDIM 2 by House Of Marley will allow you to take the beats with you wherever you go. Take it on a road trip, to the park while you shoot some hoops or simply set it up in your man cave. House Of Marley, known for it’s earth-friendly values, has designed this single audio system with sustainability in mind – an integrated REWIND fabric travelling bag crafted from organic cotton, hemp and RPET (recycled plastic bottles) is what makes up a majority of the device, honouring the late Bob Marley’s love for mother nature. What makes the BOR 2 really stand out from its portable audio competitors though is the engineering that makes up the sound quality. Designed to perform at the highest level, Bag of Riddim 2 is more than capable of filling an entire room with its powerful 2x20W output), two 1-inch tweeters and 3.5-inch woofers that maintain the detail in different levels of frequency. We know what you’re thinking… but there is merit to looking after your skin, especially when the task is made nice and simple. The River Veda Men’s range has been created with the modern man in mind. The luxury rejuvenation and regeneration organic spa and skincare line has been designed to provide men with a simple skincare program that will help nourish and energise their skin. The products are packed with supercritical plant extracts, capturing the maximum nutritional and nourishing benefits of the whole plant. 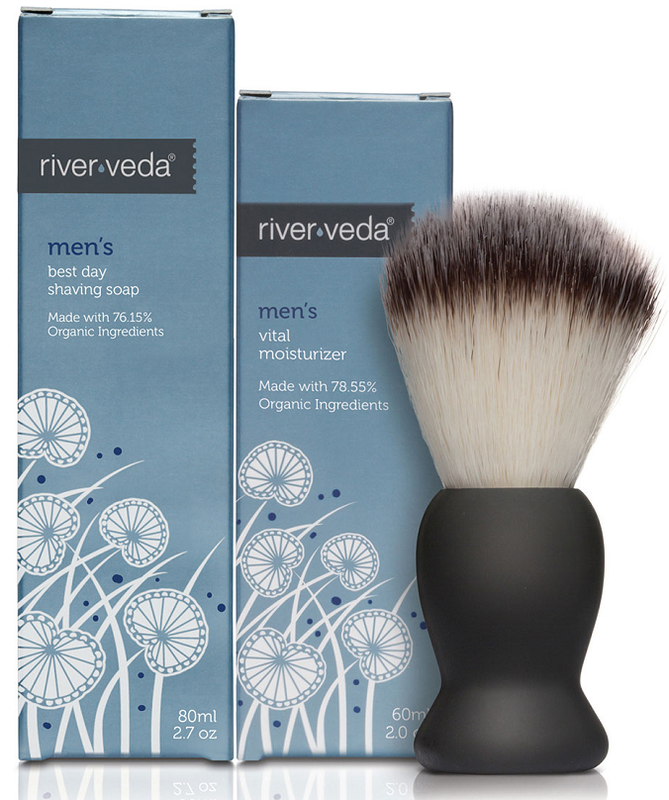 The Men’s Essential Set includes Vital Moisturiser, Best Day Shaving Soap and a Barber Shop Shaving Brush – a must for every well-manicured man. Developed as an experimental beer for Good Beer Week four years ago, this Australia n-style cleansing ale has grown massively in popularity over the past few years, making ChainSAW one of Prickly Moses’s best sellers. Prickly Moses is located in the pristine natural environment of the Otways in south western Victoria, an area blessed with some of Victoria’s purest rainwater. The Otways inspire us to produce beer in an environmentally responsible way, so the team has implemented a number of green initiatives at the brewery to lessen its footprint. This particular beer is designed to be the perfect cleansing ale: golden straw in colour, the use of malted wheat imparts a dry tart finish matched with a clean and distinct hop aroma imparted from the Ella hop variety. If you’ve got no idea what to say the next time somebody asks, “What do you want for Christmas this year?” Say ChainSAW! It’s environmentally conscious after all. It’s pretty much a given that every bloke needs a Thermos and an Esky. Whether it’s for going to the footy, out for a hike, camping, weekend sport or fishing, you simply can’t leave the house without a hot or cold beverage and some munchies. The Lunch Lugger is a classic design, perfect for the bloke on-the-go. 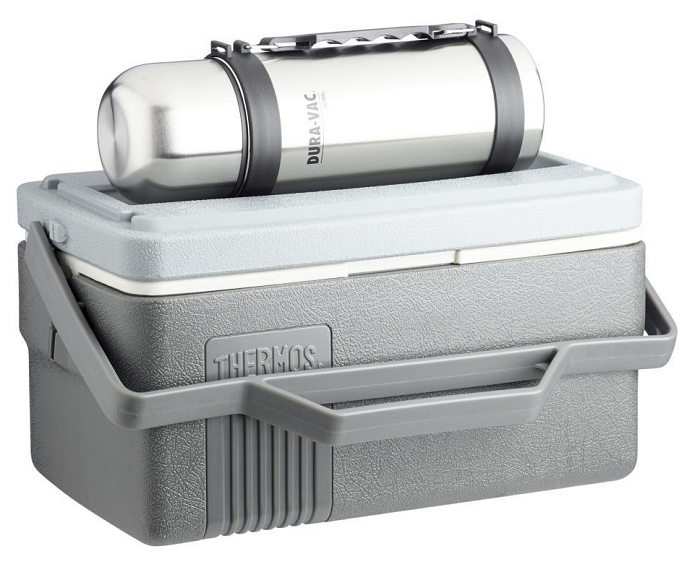 The sturdy combo contains a 6.6L heavy duty plastic cooler and a 1L stainless steel flask, with TherMax® stainless steel. It’s built tough and for good reason too… Mother Nature can throw up some nasty surprises here and there you know. Whether you’re about to jet off overseas on an extended trip or a multi-day trek on home turf, a versatile backpack is the key to a comfortable and easy-going adventure. Leading outdoor brand, BlackWolf has designed a pack that will have your back (pun intended) no matter where you are or what you’re doing. Coming in four different sizes 55, 65, 75, 90L the Cedar Breaks is packed full of technical features including; a hyper-durable 1000D Polyweave fabric, 10L expansion gusset, built-in rain cover and combination lock, and a detachable daypack for micro adventures. The day pack has RFID protection, side pockets and a side accessible laptop storage section for easy access. 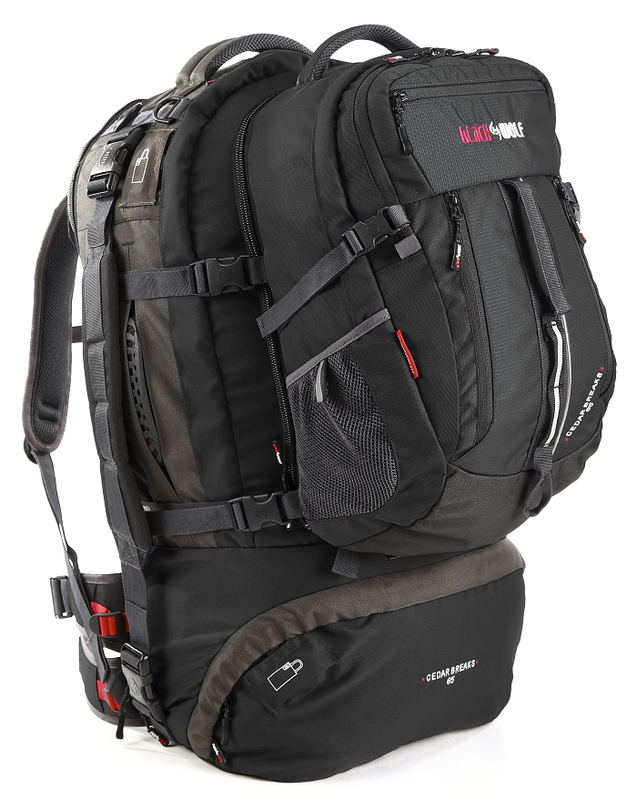 This BlackWolf pack is also hydration compatible, for those who like to keep hydrated on long haul days of transit. If you are stroking your beard trying to think of good Christmas gifts, you might already have your finger on it. 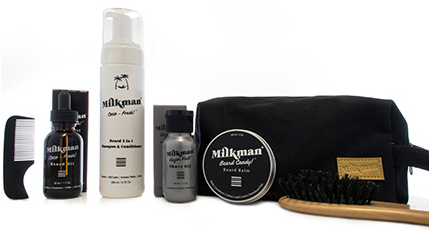 Milkman has an advanced beard care kit which comes with all the essentials to keep beards at their majestic best. What’s in the bag? Coco-Fresh 2 in 1 beard shampoo and conditioner, coco-fresh beard oil, pocket comb, boar hair beard brush, beard candy, shave oil and two magnets. When heading off on your next adventure it may be comforting to have one of these strapped to your wrist. It’s called the Range Extreme Bracelet made by Milspec 550, a small company owned and operated by a man who has served 35 years in the Australian Army. 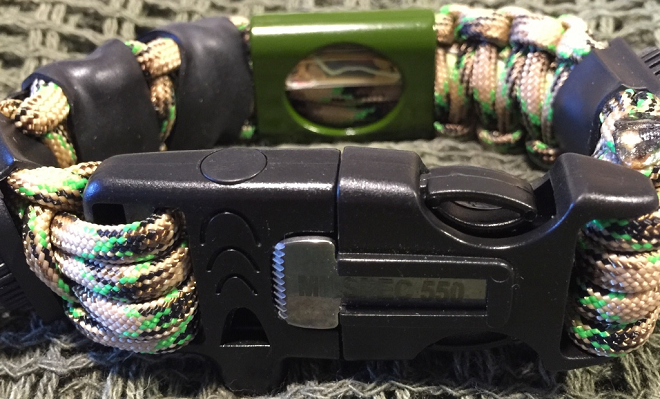 This beast of a bracelet is equipped with a whistle, flint and scraper, a compass, thermometer, can opener, bottle opener, ranger bands and even a fishing kit. This $50 unit is the most bulked out variation in the range but there are cheaper options. So if you have a friend who is a survivalist, outdoor enthusiasts, first responder or just worried about the next zombie apocalypse, this would make a great gift for them. While it often pays off to get things done quickly, when it comes to cooking meat, a slow and steady approach can merit some delicious results. As we enter a hot Australian Summer, nothing says Australia more than having your mates over, slow cooking some meat and having the cricket on in the background. 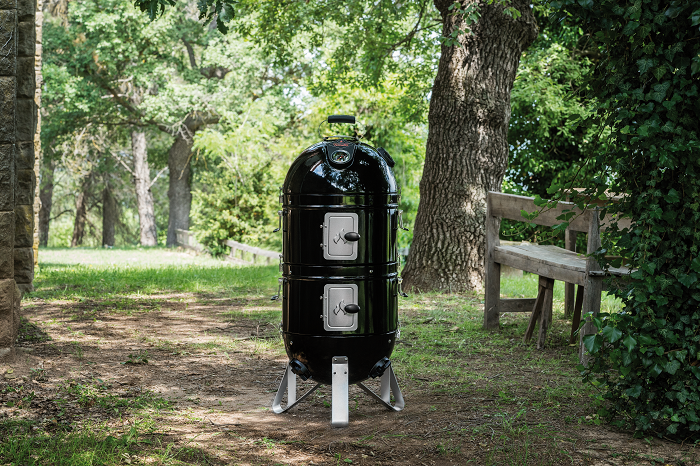 Fornetto has released the Razzo Multi-Function Smoker which can smoke, roast, steam or barbecue all kinds of meats, fish and veg. You can use either charcoal or wood to achieve a smokey flavour that will make your mouth water. It isn’t destined for a life of just frying snags and burgers as it has oven chambers which can cook a deep-pan pizza or a fruit pie. The great thing about the unit is it has stackable baskets so it’s easy to cook for a crowd at a bbq then take a more compact version of the unit on a camping trip. Sometimes music demands to be played, and heard, by a group of people. A train, on the morning commute, is not one of those times. Gatherings, fishing and camping trips and bike rides are all the types of adventures that call for tunes, minus bulky Bluetooth speakers. You can try strapping one to your handlebars or going old school and slapping it on your shoulder, but we’re in 2016 now, so you know, it isn’t that cool anymore. 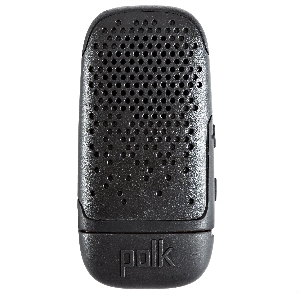 The Polk BOOM Bit is the world’s first truly wearable Bluetooth speaker that clips securely to your clothing and seamlessly integrates with how you move, safely balancing all your audio with your immediate surroundings. It features an all-weather IPX7 waterproof rating, speakerphone capability, and a standard USB for on-the-go charging—all housed in a ruggedly rubberised enclosure. So if you’re exploring the great outdoors or just chilling with mates and need some tunes to accompany you, the Polk BOOM might just do the trick. If you wanted buy a gift for someone that you could enjoy yourself a great option is buying a keg. A great addition to any man cave, you don’t need us to tell you the benefits of such an item. 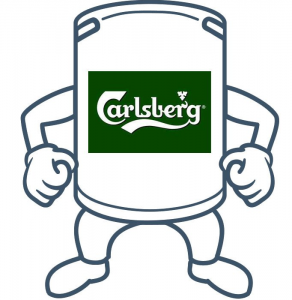 Kegs on Legs have hundreds of kegs available filled with Aussie classics like Carlton Draught and XXXX Gold to imported goodies like Carlsberg and Asahi to local craft beers like Little Creatures and White Rabbit. A keg will set you back a couple hundred bucks so it may be a good option if you have a couple of mates chipping in… you can ‘chip in’ when it comes to the consumption of the gift as well. Presenting a friend 50 litres of his favourite brew will be a sure way to put yourself in legendary status. The swag is a staple of an Aussie camping adventure and Ryebuck has upped the ante with its latest offering. 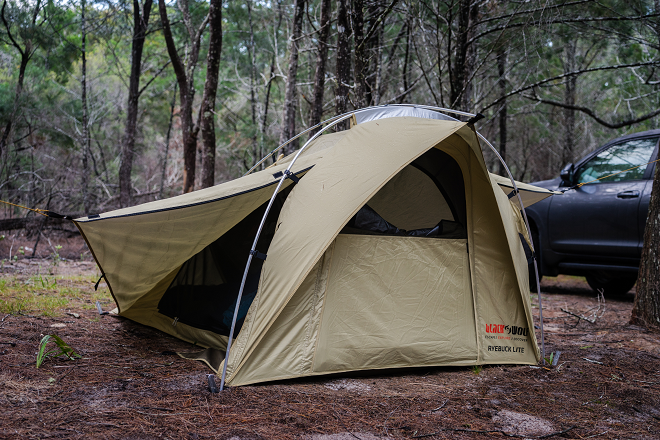 The BlackWolf swag weighs less than five kilos and has added tent poles to elevate the roof so it just about looks like a tent. A great option for someone that gets a little claustrophobic. Probably the best feature about the swag is it has a self inflating mattress, so you won’t need to worry about sleeping on the ground or bringing a foam mattress. A great quality of any swag is it’s small when you want it to be small and big when you want it to be big. The two poles and swag itself roll into a packed size of 60cm by 20cm by 20cm. That’s small enough to fit in a hiking bag before it becomes deceptively big when pitched. Not to mention you’ll have more room in your car for camping necessities… like beer. Do you have a mate that always asks to borrow your tools? Who can blame him, building a tool collection takes a lot of time, effort and money. Luckily GearWrench can get you started with a 173 piece tool cabinet where you’ll be well on your way to a respectable selection. The kit consists of a 94 piece socket set, 10 piece screwdriver set, 24 piece wrench set, 4 piece plier set, 35 piece micro driver set, 5 piece punch and chisel set and a 24oz fibreglass peen hammer. 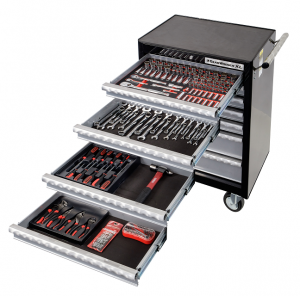 This fully loaded kit comes as a rolling tool cabinet making it ideal for doing car maintenance. So much so that it’s used by motor racing teams such as Red Bull Racing. If it’s good enough for them, it’s going to be good enough for your mates. Doing exercise can be tiresome and boring so finding a new and exciting way to work out is always a plus. Especially when you can release some anger and pretend you are Connor McGregor in the process. 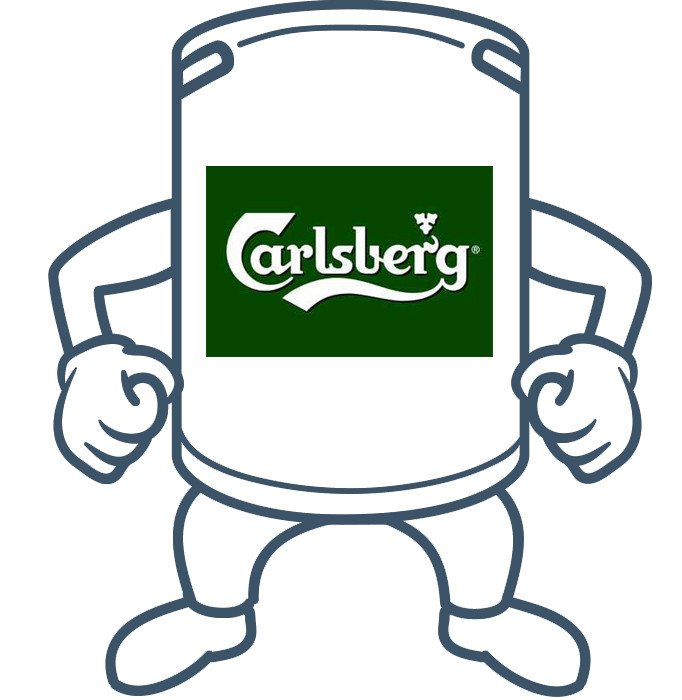 A York boxing punch man will do just that not to mention it makes for a better punching bag than your best mate. Simply fill the base with sand or water and create a great addition to any home gym. Coming in varying sizes, it’s a great asset to improve cardio, power and technique of jabs, crosses, uppercuts and kicks. This could be the perfect gift for someone with a lot of stress and pent up anger in their life. Sunglasses are a timely Christmas gift down under and Oscar Wylee has some great offerings. Their style is modern and perhaps a little indie. Whether you’re after oval, square, circular, titanium, acetate, striped, solid coloured, narrow or wide sunnies, the Oscar Wylee range will have you looking slick when enjoying a few rays this summer. The collection varies from the conservative to the eccentric so it has everyone covered. Every frame goes through a series sanding and hand-polishing before being deemed worthy of being sold. And not to mention every time you buy a pair of glasses from the website, the company donates a pair to someone in need. 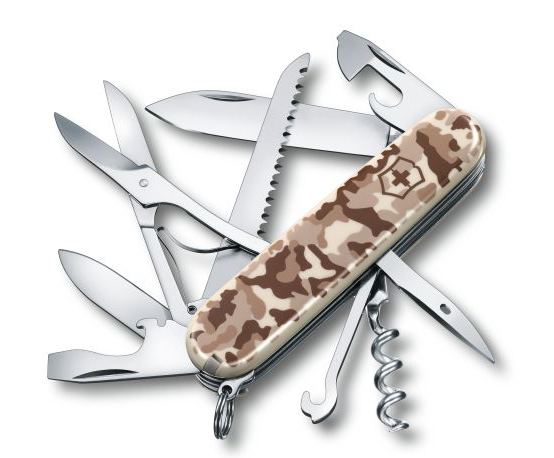 Victorinox has reinvented the classic Swiss Army Knife with its latest series called the desert camouflage collection. The new range is not just good to look at; it comes packed with functions, 15 to be precise. It’s got the standard functionality you’d find in the classic Swiss Army Knife such as a blade, nail file, scissors, tweezers and toothpick as well as new editions such as a screw driver, wood saw, wire stripper, corkscrew and a bottle opener. So whether you’re in the great outdoors, at a bbq or just want to do some grooming, the latest offerings from Victorinox really is an all-in-one solution. The latest addition to the ManSpace team, Joe Young, was named after the 1998 movie starring Bill Paxton and Charlize Theron and has a penchant for strawberry daiquiris (no kidding). Style preference: This is what I’m hoping to discover. Beers I avoid: I tend to avoid bitter beers. Beer philosophy: As someone who has ridden the cider popularity wave in Australia, beer has played bridesmaid for beverage preference in my life. Every now and then I am pleasantly surprised by the taste of a brew though.